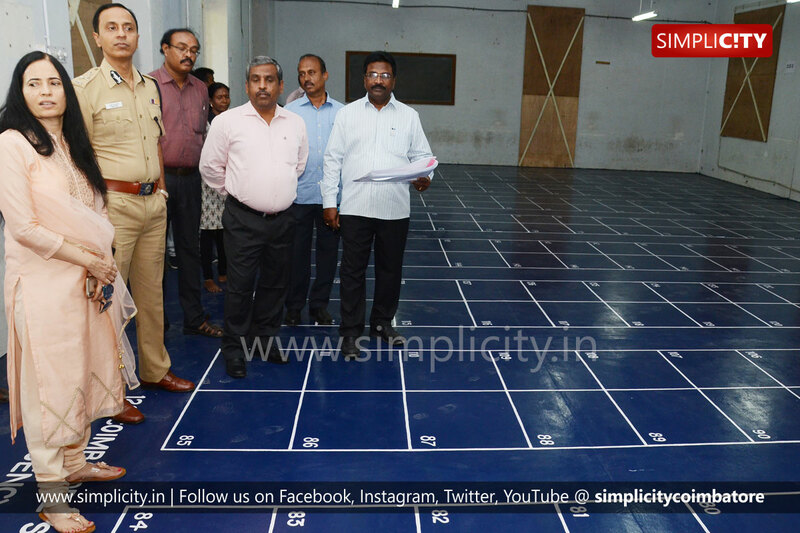 Coimbatore : District Collector and Returning Officer, K. Rajamani along with City Police Commissioner, Sumit Sharan visited the Government College of Technology (GCT) here, which has been designated as the vote counting centre and briefed on the security measures for polled electronic machines to be stored in strong rooms in Counting Centre. "EVM’s from Coimbatore south, Coimbatore North, Singanallur, Kavundampalayam, Sulur, Palladam assembly constituencies will reach GCT after completion of polling at the respective booths. After the EVMs reach the vote counting centre at GCT, the machines will be sealed in strong rooms in the presence of the electoral candidates and representatives of the political party", the Collector said. The Collector also added that the room in which the EVMs are stored will be monitored 24/7 through surveillance cameras by CAPF. "Uninterrupted power supply will be provided to the room. Creation of barricades and pathways for the representatives of political parties are ongoing", the returning officer noted. "VVPAT machine is the new technology introduced in this election, where the voters can recheck the symbol they have voted. Model VVPAT machines are exhibited at Collectorate, Thasildar offices and Revenue Divisional Offices for the understanding of the public", the Collector said. Deputy Collector (training) Sneha, Assistant Election Officer Daisykumar, Vijayadurai – PWD executive Engineer, Thavamani – Assistant Director (Land Survey) and few other Government officials were also present during the inspection.